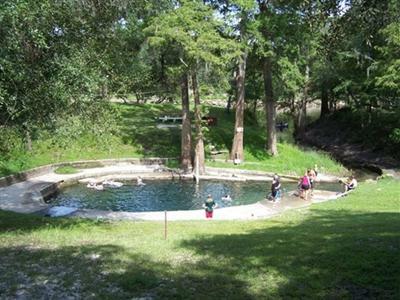 Take a break to immerse yourself in charming Convict Spring, fed from an underwater cave system right on the grounds of the Suwannee River Rendezvous. Swim about in the perfectly heated water and you may spot fish, turtles and other wildlife. Close by are a wealth of other springs and underwater caves. Beneath the waters of Troy Spring lies the remains of a Civil War steamboat and Wes Skiles Peacock Springs State Park has two major springs, a spring run and six sinkholes. Drift along with the current as you tube the Ichetucknee River. Cave diving is popular, but can be dangerous, so certification is required. Local experts and shops are available in the area to ensure a successful dive. Get ready for a bumper crop of fish when you cast your line into the Suwannee River. The water is full of large-mouth bass, Suwannee bass, mullet, bream and channel catfish. Fish off the park's boat ramp, once used as a ferry stop, from the river bank or head downstream to a nearby island where the fish gather. Hunting for wild hogs is a year-round activity. 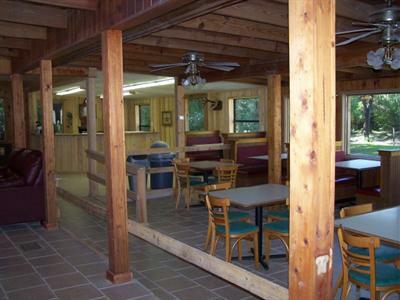 Check out the Suwannee River Ranch for a guaranteed hunt. 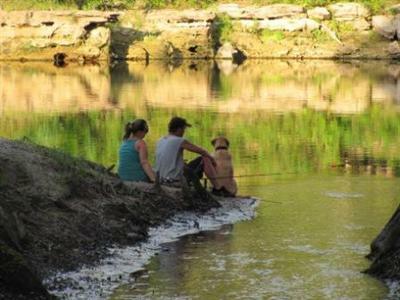 The Suwannee River is a great spot for fishing, canoeing and kayaking. 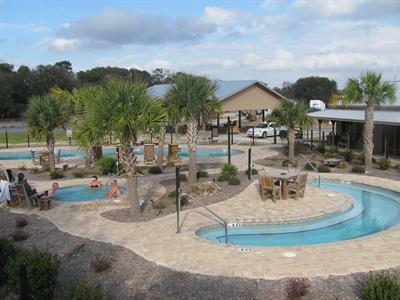 Suwannee River Rendezvous has all the equipment you need. Rent kayaks and canoes by the hour, and sign up for trips to see the sights. Abundant wildlife can be seen, since much of the river is still undeveloped. Bring a snorkel and mask to view the underwater world. Families can pile into the "ganoe," which fits 2 adults and 3 children.